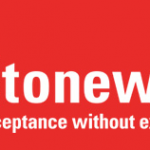 A record 100 people registered for the annual Stonewall Lecture which was given on 18 February by Professor Elise Chenier of Simon Fraser University (British Columbia). 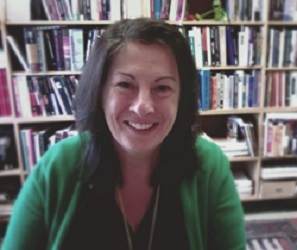 Prof Chenier is a leading historian of sexuality, migration and discrimination, and also of oral history and archives, having created her own lesbian archive website (ALOT). 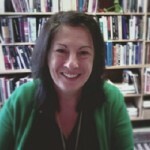 Her lively lecture, which was recorded, was entitled ‘Lesbian Voices: Stuck in the Past?’. It assessed the position of lesbianism and women’s sexuality over the past forty years, drawing on her own life as well as her digital archive in order to show both continuities and breaks with the present. The Q&A was particularly lively, in pressing the audience to question their own sexual stereotypes. The audience was highly diverse, composed of academic staff, administrators and students, with a spectrum of sexual preferences also on display! A collection after the lecture raised £80 for the Stonewall charity. The feedback (on Twitter and other social media) has shown the major success of the event, and the value of this lecture as a forum for highlighting LGBT history and disseminating it to a wider audience at Southampton. The President (Vice-Chancellor) also sent a special message of support for the lecture as a key display of the university’s commitment to Equality and Diversity.